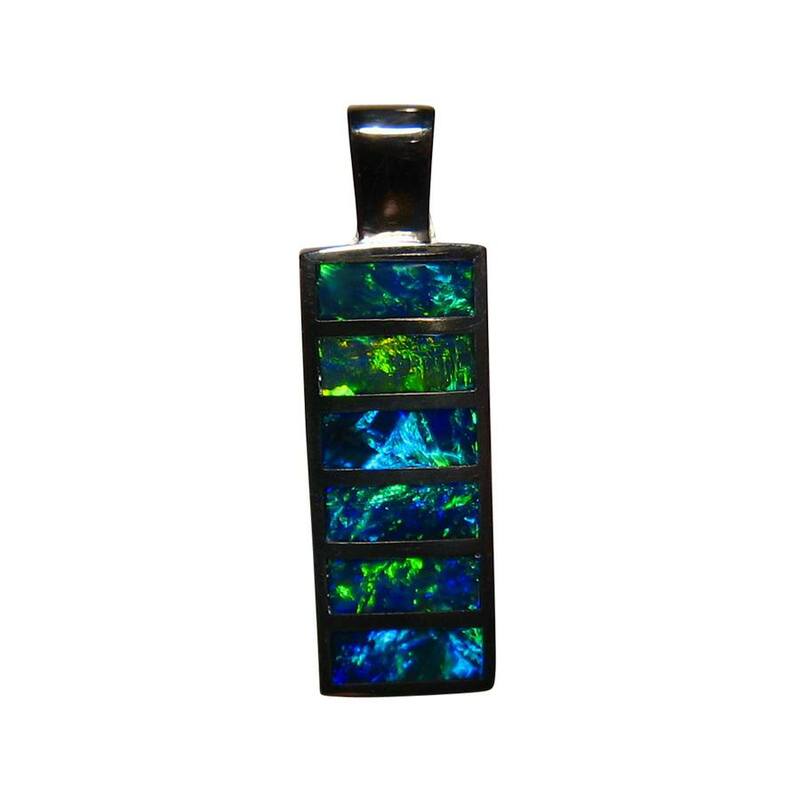 A big Opal pendant in 14k White Gold inlaid with six very bright Blue Opals. 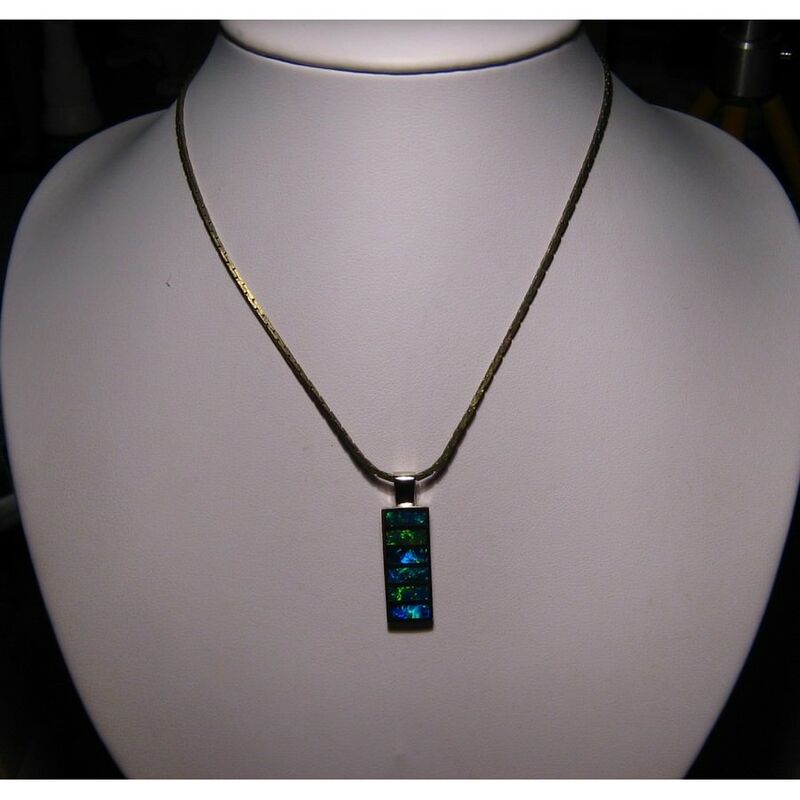 This Opal pendant is a style that both men and women can wear with its clean lines and sophisticated style. 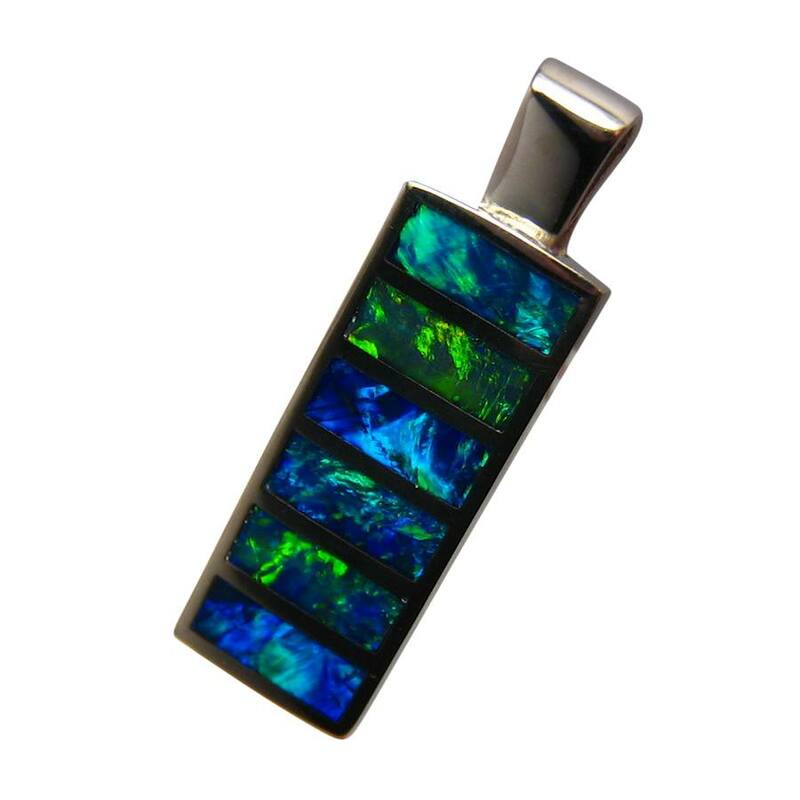 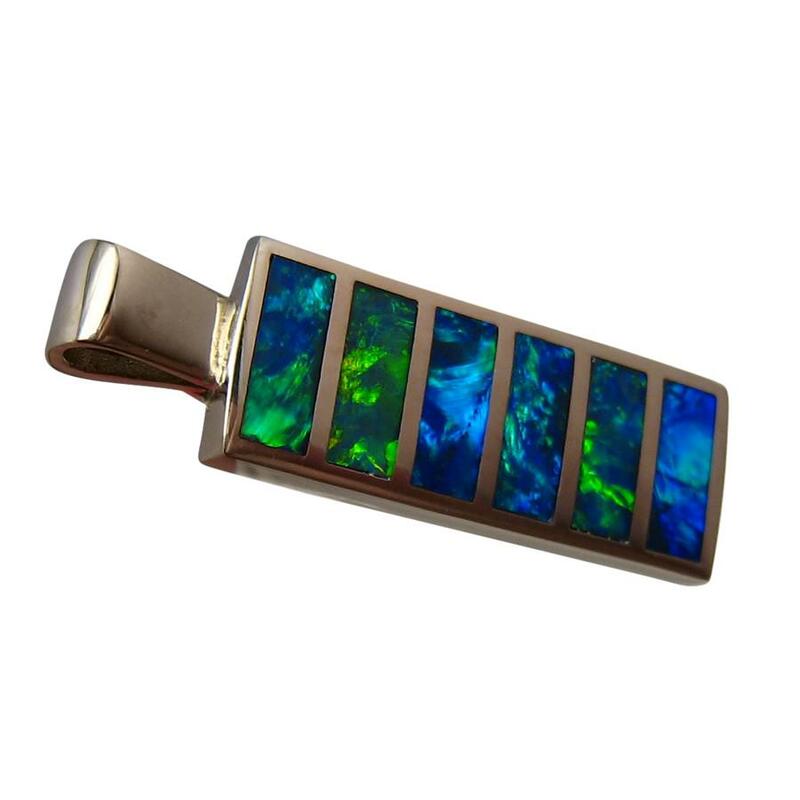 The pendant is in 14k White Gold measuring over one inch long and is inlaid with six very bright Blue Opals from Lightning Ridge. 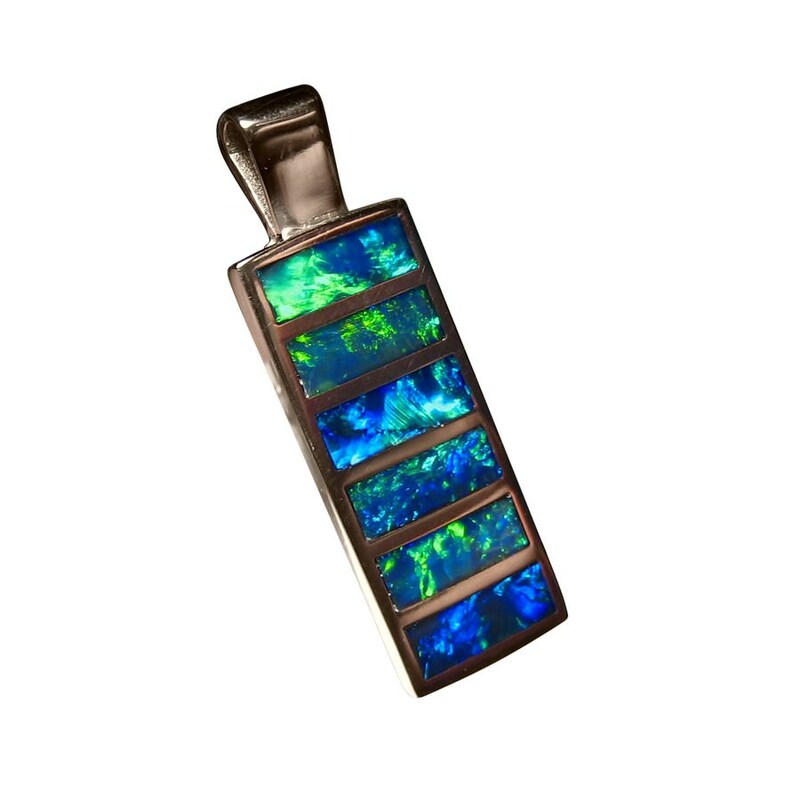 Weighing just under 3 grams of 14k Gold and with a combined Opal weight of 2.5 carats, this quality Opal pendant will stand out when worn. 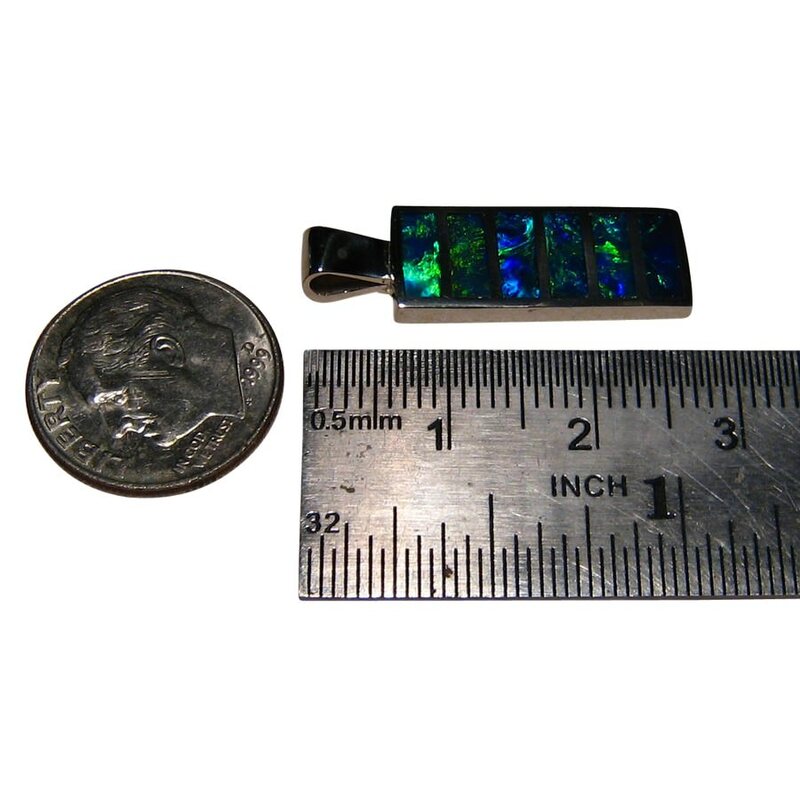 Ready to ship now but does not include a chain.